It’s midway through Mental Health Week 2017. In our post from earlier this week, we discussed the role of community managers, and how mental health can be impacted by frequent social media use. We know that being in this role can put you at risk for developing mental health concerns. Today we will discuss strategies on how to manage some of these challenges. Spreading Positivity ... in a Cube? Need a gift for a co-worker? Or want to enhance your mood while at your workstation? Well, the "positive cube" may be something to consider! The unwanted feelings of depression, anxiety and feeling overwhelmed are very common during the holiday season. There is so much going on at this time of year and the demands on our time, wallets, and bodies can take a toll on our mental health. Today we are sharing tips for maintaining your mental health this holiday season. By being mindful and implementing some of these strategies, you may even end up loving the holiday season this year! The rise of absenteeism and presenteeism in the workplace due to mental health concerns is on the rise. Last week, the Montreal Gazette reported on the $412 Million paid by taxpayers for medical leaves in the Quebec Health network in 2014-2015. They go on to indicate that the majority of claims were reportedly due to employee burnout and mental health concerns. ... read on to find out how we can start to prevent this! Employee assistance programs, wellness benefits, and team building activities - three common workplace supports that help support employee mental health. What is offered at your workplace? Are you aware of the resources available to you? Returning to work after the death of a loved one is rarely a smooth transition. The cognitive demands of the workplace, the words of sympathy from coworkers serving as a reminder of the loss, and the crossover of the home/private life into the workplace all contribute to making what was once a daily routine, into an ongoing struggle. Are you concerned about the health of an employee or colleague? Has their behavior changed recently? Do they not seem like their usual self? Although it may not be your role to diagnose a mental health problem or provide counseling, (that is what health professionals are for) if you are concerned about the mental health of a colleague/peer, there are ways you can help. 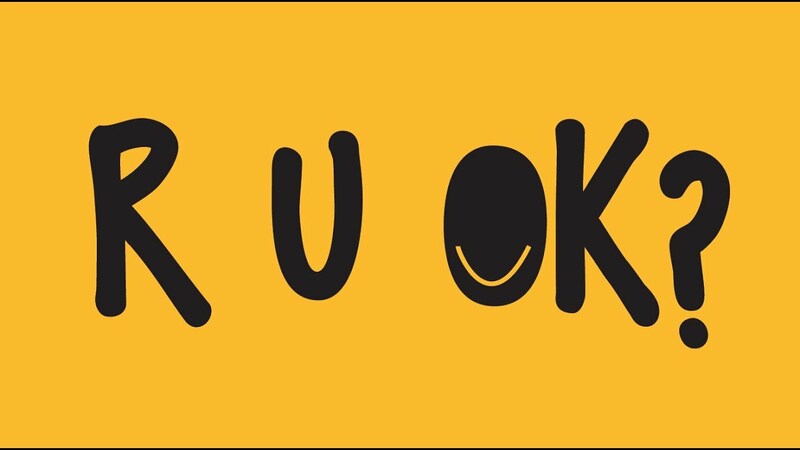 Start with a conversation and ask "are you okay?". When you have the flu, do you stay at work? Although the answer for some may be yes (thank you to you, colleague, who came to work to pass on the flu to everyone else), the real answer should be no. If you are not feeling physically healthy, you take a "sick" day. Your mental health should be no different. Feeling mentally or emotional unwell is a legitimate reason to take a day off work to recharge your batteries and engage in some self-care.